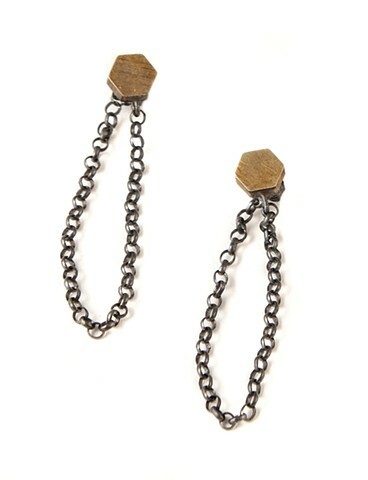 This earring's chain is attached to its back, making for an elegant drape over your lobe. Sirius, the brightest star in our night sky, you the brightest star in your circle. Also available with silver hexagon.